Common Questions About Homebirth, With Answers….. Surprisingly, not as messy as most people imagine. We ask you to have an extra pair of sheets and some towels that you don’t mind sacrificing, and we take care to protect your floors and furniture from any mess. Birth itself is a little messy, but it’s nothing that we can’t clean up afterwards, and most homes look better after a homebirth than they do after a busy day with a toddler. Waterbirth makes clean-up quite easy. We even do most of the laundry and take out the trash for you before we leave your house. I live in a very little apartment. Can I still have a homebirth? Yes. Babies are very small and don’t need much room. Seriously, though, the idea behind having a homebirth is to labor and give birth in the place where you feel most comfortable. Whether you live in a trailer or a mansion, home is home, and your home is familiar to you. As a midwife, I’m a guest in your home (a low maintenance guest!) and I’m comfortable attending births in all kinds of environments. What if I need an epidural? You can’t do those at home, can you? What about labor pain? It’s true, there are no pain medications or epidurals at homebirths. Because medications can negatively affect the baby or the progression of labor, they belong in a hospital, where they will always be waiting if they are truly indicated or desired. Labor is painful, I won’t lie to you, but it is also a kind of pain that women can do, that we are built to work with and use. Epidurals are one way of getting through labor, but they are not the only way, or, in most situations, the best way. In too many hospitals, epidurals have replaced support and faith in women’s ability to cope with labor, though I think this is starting to change. Midwives are trained and experienced in natural (non-medicated) labor and birth. That means that we know many, many ways of helping women through labor without medication. There’s different positions, water, nourishing foods, massage, relaxation, and so much else. I have a deep faith that women can do it, especially when they are supported and free to find what works best for them. Can my family come? How about my best friend or my cousin, Charlie? Of course. It’s your house, and you get to decide who you want with you when you give birth. The one exception, after a somewhat scary experience, is large dogs that bite. I’d like for them to be contained. Other than that, it’s your birth and your choice. How do you monitor me and the baby? We work together closely while you are pregnant, so that I know what’s normal for you and your baby. Then during labor, I frequently listen to the baby’s heartbeat using a portable, handheld Doppler or fetoscope. You are always free to move around, and I can listen to the baby while you’re in the tub. I also monitor your blood pressure, pulse and temperature, and the overall pattern of your labor and your contractions. 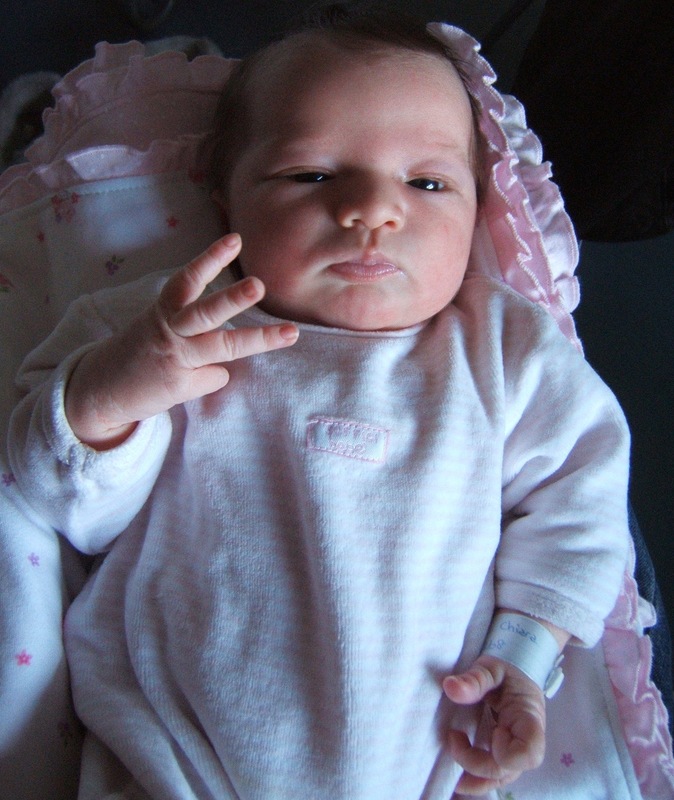 When the baby is born, I do a thorough newborn exam. We offer home waterbirth. For many women, water is relaxing and peaceful, and many women choose to labor and/or give birth in the tub. If you are interested in waterbirth, you are encouraged to rent an inflatable birth pool-we will give you websites. Can I have a VBAC at home? Yes. I love attending VBACs. We will talk about your individual situation, but many, many babies have been born VBAC at home. Many VBAC mothers have said they felt more comfortable going for their VBAC in their own environment, with a midwife who believed in them. As a general rule, I don't consider VBAC to be high-risk, or all that much different from any other birth. What about my other kids? Can they come to my homebirth? Of course. Some families want their other children to be there when their latest baby is born, and other families prefer that the older kids spend the night with a friend, neighbor or relative. You are encouraged to think about what’s right for your children. If you do decide to include your other kids in your homebirth, I recommend that you have someone there to care specifically for them. My assistants and I are not able to fill this role, though we welcome children’s presence. What equipment do you bring? Do I need anything special? All MotherRoot clients are expected to buy a birth kit from Radiant Belly, or from Everything Birth, which includes all the basic supplies and costs about 60$. You will also be given a list of items to have on hand, such as extra towels and food for when the baby is born. If you want a waterbirth, you are responsible for renting a birth tub, and we can refer you to websites for this. I bring lots of equipment to births, including a Doppler and fetoscope for monitoring the baby, equipment for monitoring your vital signs, labor support items such as massage oil, a birth ball, and a birth stool. I also have emergency equipment such as an oxygen tank, resuscitation equipment, medication and herbs for treating hemorrhages, IV equipment, and equipment and local anaesthia for repairing minor tears. Depending on your walls, they might not even know that you’re having a homebirth! I’ve never been to a birth that was louder or more disruptive to the neighborhood than college kids partying, so Comm Ave in Allston is the ideal location for a homebirth, especially if you want to celebrate afterwards. Most births are much less noisy than this. You can tell your neighbors as much or as little as you choose about your birth plans. I really want a homebirth, but I had complications with my first baby. What should I do? I’d recommend that you come in for a free consultation. Some complications are once in a lifetime specials, while others have a tendency to repeat themselves. Some complications can be caused by unnecessary interventions. Looking at your individual situation will help us decide together if homebirth is medically right for you, so that you and your family can decide if homebirth is the right choice for your next birth. Do I need to have a doctor, too? Midwives are trained to provide comprehensive maternity care for healthy women. If you have a condition that is beyond our scope of practice as midwives, or a situation develops that requires medical care, we will let you know and refer you to a doctor. Sometimes, a midwifery client just needs a short consultation with a doctor and can then go on to give birth at home. Some women choose to have concurrent care with a doctor, or to see a doctor for a few appointments. This way, if they need to transport during labor, they will already have established care with a hospital based practice, though it's important to know what your doctor's call arrangements are. Some insurances will cover certain services, such as lab work, only if it’s prescribed by a doctor, which is one argument for having a doctor as well as a midwife. If you decide to see a doctor, try to find someone who is supportive of homebirth. My due date is next week. Is it too late for me to have a homebirth? While I encourage women to begin their prenatal care as early as possible, if you are still pregnant, it is not too late to have a homebirth. Many families have switched care providers or birth locations relatively late in the game, and gone on to have perfectly lovely births at home, feeling confident in their decisions. Like any other decision in midwifery care, deciding whether to plan a homebirth late in pregnancy is an individual choice with no one answer that applies to everyone, so please feel free to call and discuss your individual circumstances. As explained in the fees section of this website, we bill one global fee for prenatal care, birth and postpartum care; in most cases, the total fee will stay the same whether you begin your care at 2 weeks or 41 weeks of pregnancy. Do you accept insurance? What about MassHealth? At this time, I do not accept insurance, and MassHealth does not reimburse homebirth. I can provide you with a bill to submit to your insurance, but it can be hard or impossible to get insurance reimbursement for a homebirth. Please see the section of this website about fees for more information. I offer extended payment plans and some alternative arrangements, and all clients with MassHealth or Commonwealth Care insurance recieve an automatic discount. M While I take being compensated for my work seriously, I also feel that health care is a human right, and I don’t want money to be the reason that someone doesn’t get to have a homebirth. I ask all clients for a donation to a fund that offsets the cost of care for women with fewer resources, and there may be “scholarships” available. Please call with individual concerns. I’m not so into crystals, auras, flax seeds, drumming, or dolphins anywhere but the New England Aquarium. Is homebirth for me? Is it true that having a homebirth will make me a more natural mother, give me a painless labor, bring about world peace or affect my child’s future like some of the homebirth literature claims? No, probably not. Homebirth is nice, and a great alternative for many women. It’s also not right for everyone, and every woman does birth and mothering in her own way. There is no one right way to have a baby, and I would love to see more acceptance of the full spectrum of choices and a mother’s inherent ability to know what’s best for her own family. There’s already so much competition between women that I would hate to see birth location added to the mix as one more thing to get “right” or else. I’m skeptical about wild claims that try to sell homebirth as a cure-all for the world’s ills, or that somehow denigrate women who make other choices. When I hear people talking with missionary-like zeal about how homebirth will create a peaceful generation of babies or make parenting somehow easier, I wonder what they’re selling. Perhaps I’m more cynical than the average midwife. I would be lying if I said I didn’t also have somewhat of a vested interest in selling you on homebirth, since I obviously like it and it hopefully pays my bills. I like seeing the look of pride and accomplishment on a woman’s face after she gives birth her way, but I have to admit I’ve seen that look on women’s faces after hospital births, too, and I think I had that look when I passed my credentialing exam. Whatever its origins, though, I think the empowerment behind that look can be potentially life-changing. I’m sure that a mother’s pride in herself and her abilities will have its effects on the world around her, too. But when it comes down to it, birth is one day of your life, and your child’s life. It’s an important life transition that should be treated with reverence and respect, but it doesn’t take the place of our everyday actions. Human beings are quite resilient, in my opinion, and too complex to pin down with such black and white claims. Though it is true that all babies born at home know how to talk to dolphins and frequently are able to move household objects with the power of their little minds. And they’re cute.